The Times Herald-Record in Middletown, N.Y., was looking for a new way to increase revenue, grow its email database and promote goodwill among readers. 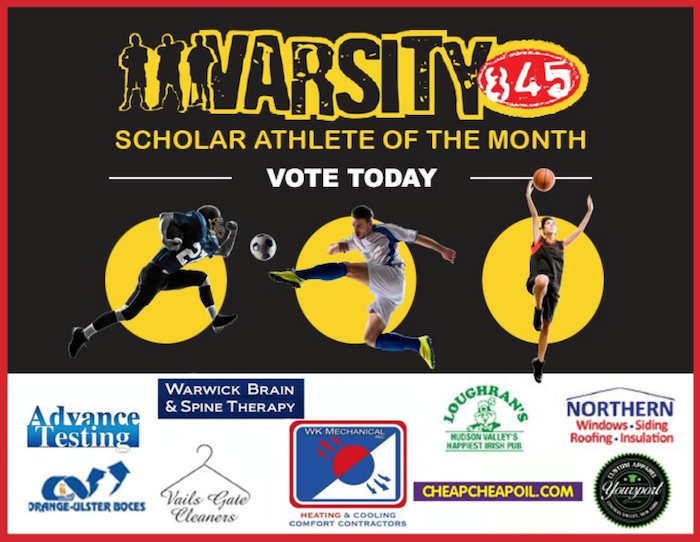 Varsity 845, the paper's designated local sports site, decided on a High School Athlete of the Month ballot. 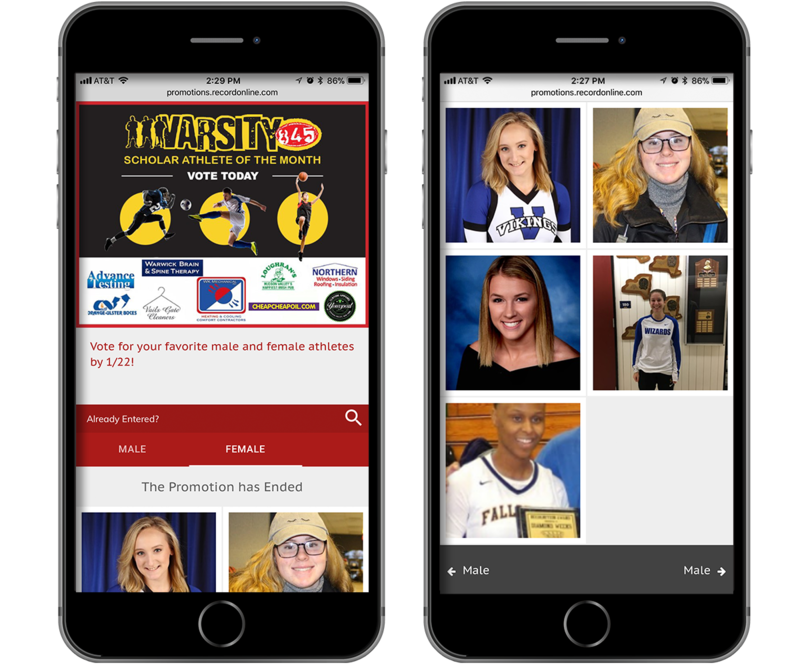 High school sports campaigns aren't just a big hit with your community, they're also a big hit with your advertisers. Local businesses love the opportunity to show their involvement with local sports teams. While the Times Herald-Record was able to secure seven sponsors initially, interest grew, and the paper added two more. From healthcare and home improvement to community colleges and automotive, the sponsors were proud to be a part of the ballot. The year-long ballot featured new high school athletes every month in separate categories for male and female athletes. Each month, the athletic directors from each school district would submit one female and one male scholar athlete. A committee from the Times Herald-Record would narrow down these submissions to the top five. Each month, the two winners would receive a plaque, a gift card for $250 and coverage in the paper. To take the honor of winning another step further, the Times Herald-Record has partnered with its local athletic association and plans to recognize all the monthly winners at an end-of-the-year banquet in May. Knowing a high school sports ballot will attract a large audience, the paper also leveraged this as an opportunity for email database growth. This included an opt-in for the paper, as well as one for its sponsors. In order to attract people to the ballot, the Times Herald-Record posts frequently on its website and on social media. But the main way it gets users to the ballot is through email. 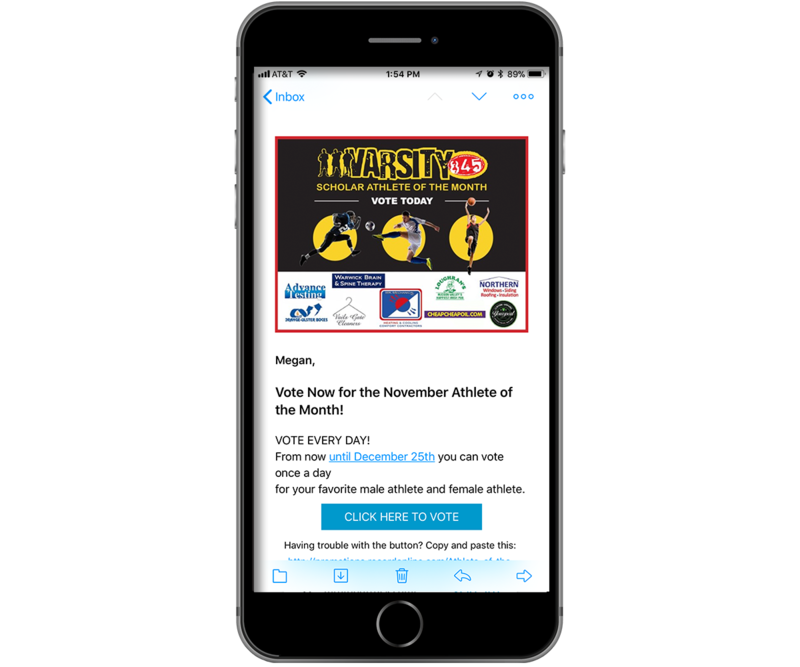 Each month, an email is sent to announce voting is open and remind users they can vote once a day. Beyond the paper's own means of promotion, the entrants on the ballot bring a lot of their own promotion. Any ballot about children means you're going to get tons of parents, grandparents and friends rallying for votes and sending people to your website. While the Athlete of the Month campaign only started about eight months ago, the paper has already found outstanding success. So far, these monthly ballots have brought in more than 11,000 votes. More than 2,800+ people have opted-in for the paper's database and another 2,700+ opted-in for messages from the sponsors. But the biggest success is revenue. This year-long ballot is bringing in revenue month after month, leading to more than $60,000 in annual revenue for the Times Herald-Record. 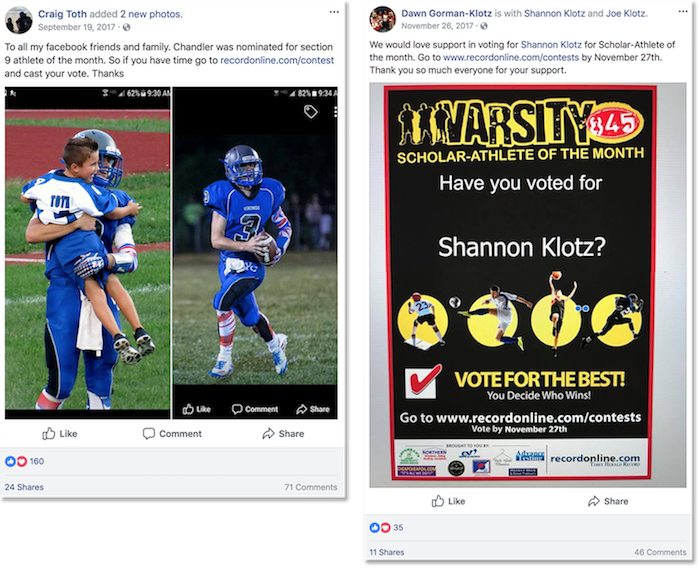 The paper has found this to be an excellent way to celebrate the top student athletes in the community and looks forward to continuing this successful campaign. Matt Coen is the president and co-founder of Second Street, a leading provider of private-label online promotions platforms and partner success services for media companies based in St. Louis, Mo. He can be reached at (314) 880-4902 or matt@secondstreet.com.